Perhaps the first question we need to ask ourselves is, what is a resume? Well, a resume is a neatly written document showing personal information, educational background, professional qualifications, work experience and skills of the candidate. The most common type of a resume lists academic qualifications, professional skills and work experience information. The Sample Resume objectives will help you to write a great resume objective which is synonymous to a great resume. This is a document showing examples of various resume objectives in different fields of work or specialization. 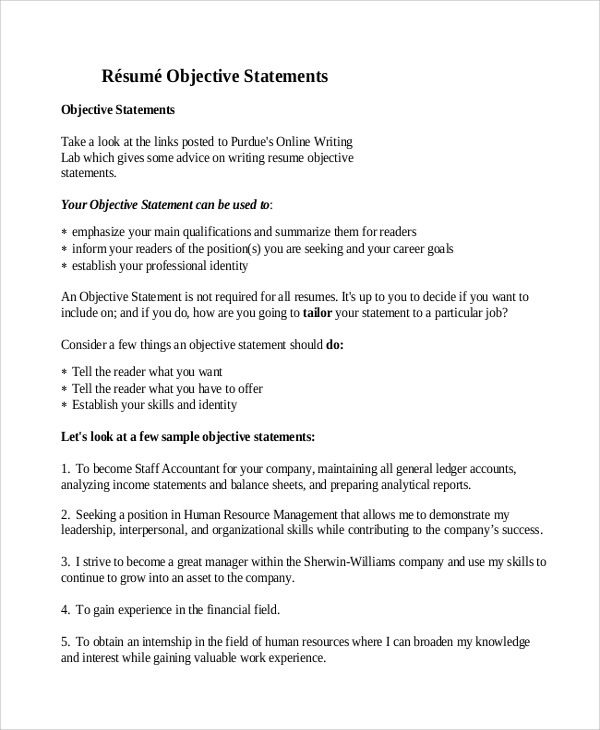 Job seekers starting to write their resumes should always have a look at the comprehensive resume objective example documents to see how they should write relevant objectives as per their qualifications. 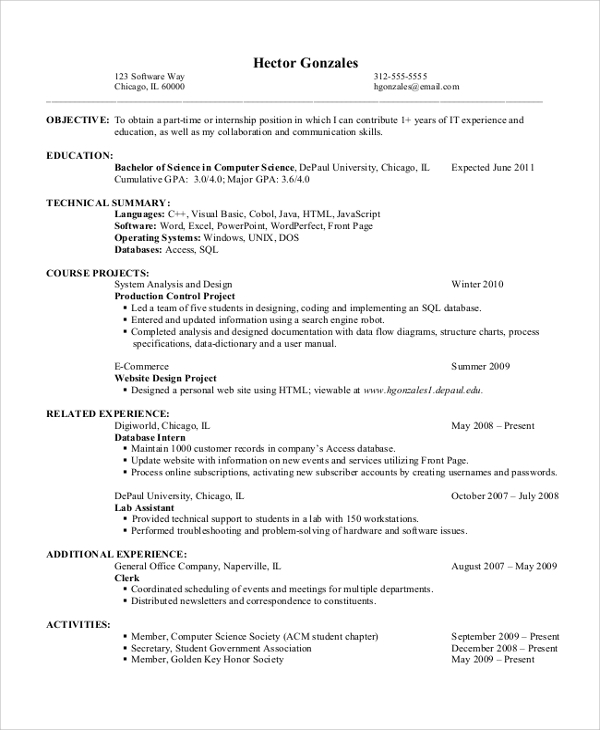 An entry level Job Applicant creating a new resume or one improving a previously written resume can get a possible starting point from this document. 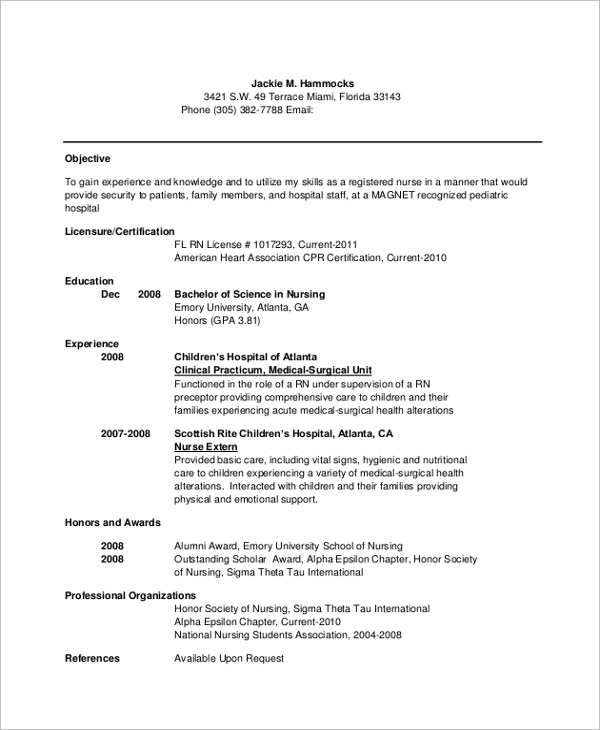 An entry level resume objective sample has several Resume Samples, helpful information and best practices that will enable the job seeker to create a successful document. 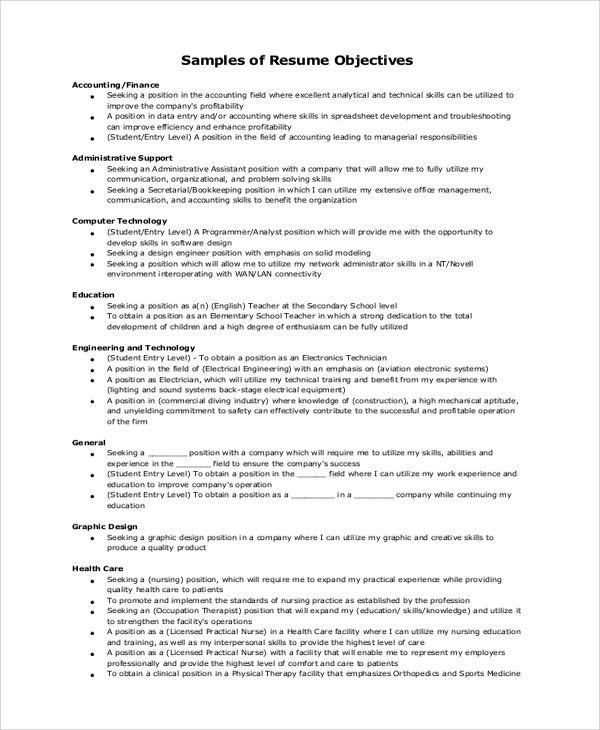 This is a document showing several examples of Resume Career Objectives that a job applicant can use as a guideline in coming up with a catchy, straight to the point career objective that will be clear to the recruiting staff or employer. What are the Advantages of Using the Resume Objective Samples? There are several benefits that a job applicant will get from utilizing the Resume Objective Samples. They can use it to come up with a fantastic resume objective. A potential employer will grasp your personality and career goal even if you do not have a list of work experience or training to show. It is of paramount importance to always indicate the type of work you are looking for in your resume objective. Too generalized or unclear resume objectives can make the employer or recruit staff to stop reviewing your resume and toss it in the trash bin which will be too bad for you. Always make your resume objective as precise as possible. 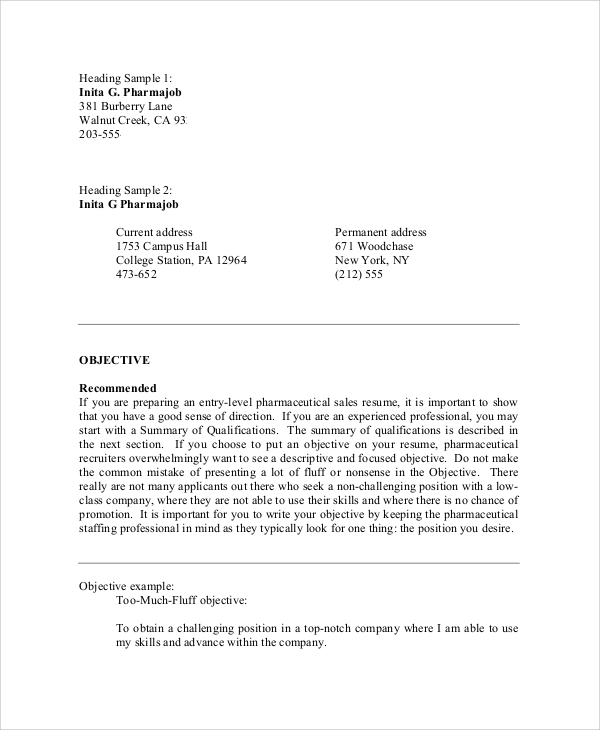 A new sales job applicant who is looking forward to starting a successful sales career or one seeking to improve their current sales resume objective will get some direction on how to write interesting sales resume objective from this document. 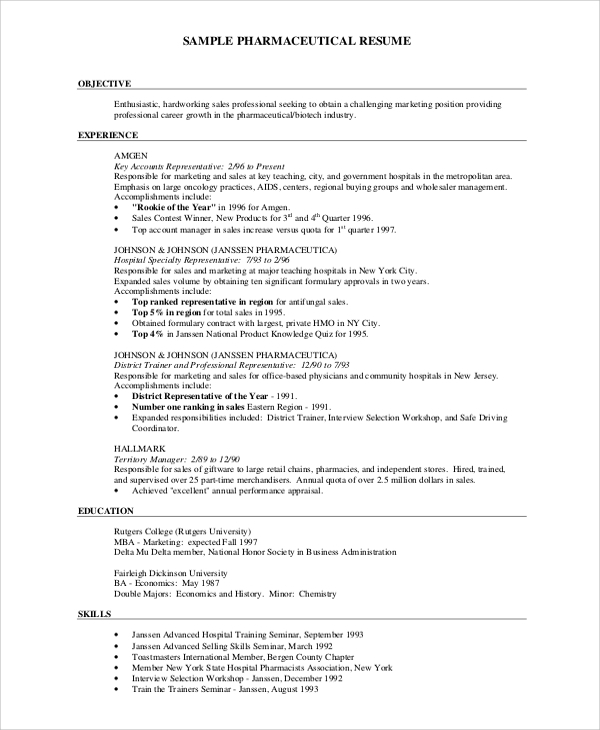 In such a resume, the potential employer will look for personality, sales skills, qualifications and past experiences. 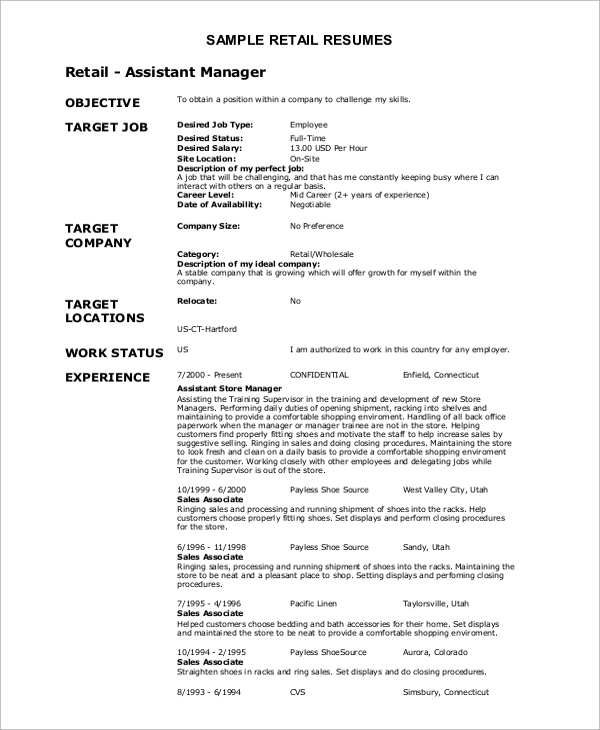 Job applicants seeking to start a thriving retail career will get insight and guidelines on how to write their Retail Resume objective by looking at this retail resume objective example. 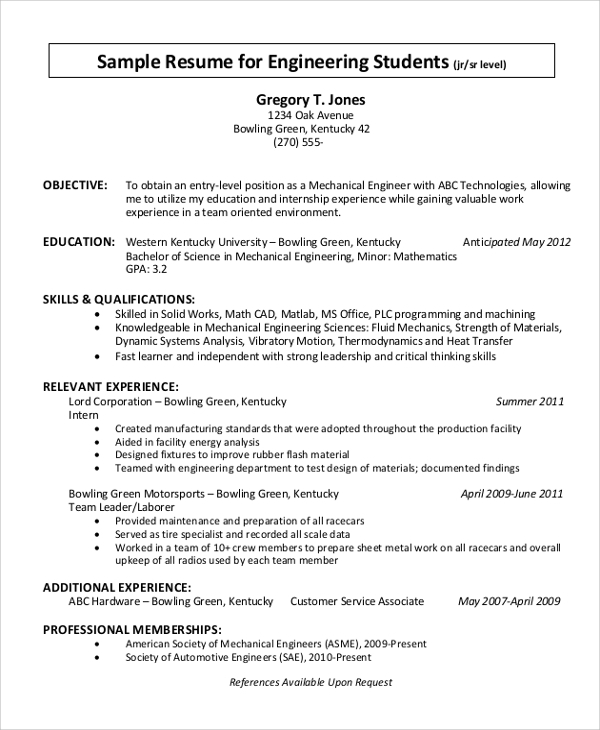 Who can use the Resume Objective Samples? 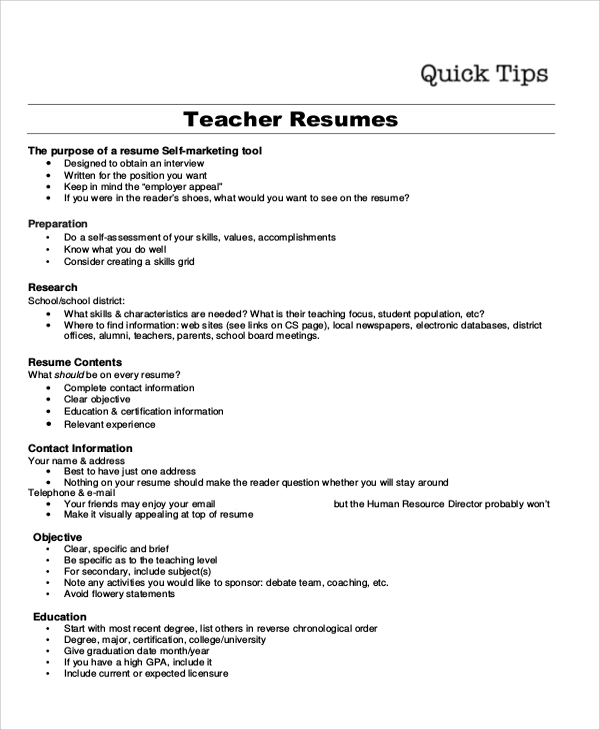 Resume objective samples can be used by students who are looking for a part time job after classes. They will offer valuable tips on how to write a good resume that can see them start their career journey. Fresh graduate students seeking to start out their career will also find resume objective samples useful in making an excellent resume. Some successful career-minded people who have lots of job experiences and skills may desire to change their careers. In this case, they will also benefit a lot from the detailed resume objective samples to come up with an outstanding resume objective that will see them in their next successful career. A resume objective is a sure way of selling your potential and skills and to a prospective employer. All skills are valuable and resume objective samples on all jobs are readily available. There are plenty of sales resume objective samples, retail resume objective sample, and Nursing Resume Objectives just to name a few since the list is as long as the jobs in the market.